“Syria is the biggest humanitarian and refugee crisis of our time, a continuing cause of suffering for millions which should be garnering a groundswell of support around the world.” — UN High Commissioner for Refugees, Filippo Grandi. In 2015, the UN reported that over 4.8 million Syrians had been forced to flee their home country in search of foreign homes, placing strains on foreign economies and infrastructures. Another 6.6 million remain displaced within the country’s borders. While many have found temporary refuge in settlements, like those in Jordan, more than 12,000 people still reside in makeshift refugee camps near Jordan’s border. These people live alongside increasingly hostile border crossings, in deplorable and worsening living conditions, and their numbers keep growing. In May, a UN-led analysis of UrtheCast satellite data revealed that refugee camps in Rukban and Hadalat — two Syria-Jordan border crossings — had experienced 81 percent and 587 percent increases in refugee structures, respectively, from late January and early February. 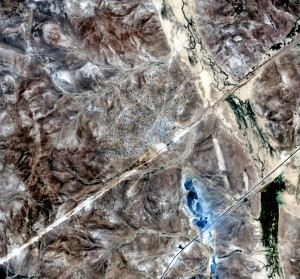 Most recently, UrtheCast imagery from July 13 showed that the Hadalat refugee camp had experienced a population increase of 9 percent since mid May. That’s an increase of just under 600 percent since January 29, 2016. 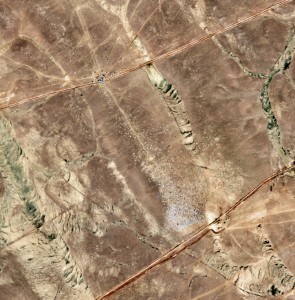 Rukban, Syria. Imaged Feb. 3, 2016, by UrtheCast’s Deimos-2 satellite. 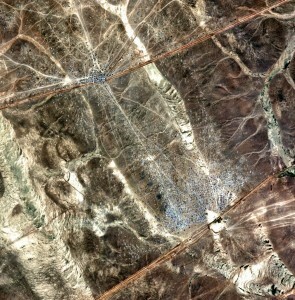 Rukban, Syria. Imaged April 24, 2016, by UrtheCast’s Deimos-2 satellite. Over 10,000 Syrians currently inhabit this camp. Hadalat, Syria. 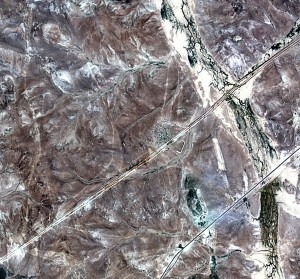 Imaged Jan. 29, 2016, by UrtheCast’s Deimos-2 satellite. Hadalat, Syria. Imaged April 29, 2016, by UrtheCast’s Deimos-2 satellite. Over 2,000 Syrians currently inhabit this camp. Hadalat, Syria. Imaged July 13, 2016, by UrtheCast’s Deimos-2 satellite. Those fleeing violence elsewhere in the country are now experiencing more of the same. 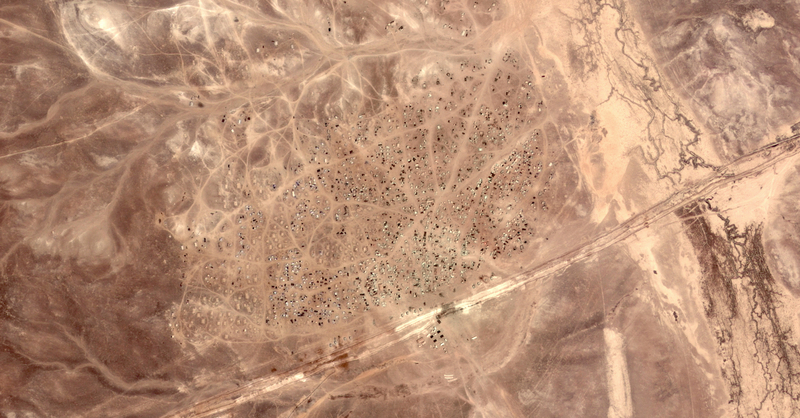 On July 12, the Hadalat crossing was hit by an air strike — an attack that followed a deadly bombing at ground level near Rukban in June, which caused the Jordan government to close its last Syrian border entry point. That closure halted not only the crossing of Syrian people, but also the delivery of water and food sources to those refugees; two resources that are already difficult to transport to such an isolated area. According to a UN report, Jordan has accepted over 630,000 UN-registered Syrian refugees. But Jordan’s concern over the infiltration of extremist militant groups into refugee ranks keeps the refugees of Hadalat and Rukban on Syrian soil, leading to the continued growth of both camps. The UN explains that bombings, forced inscription, and severe punishments in areas occupied by extremists, are some of the reasons forcing these citizens toward the Jordanian border. “People were thus fleeing both fighting and extremism,” explained a 2015 UN press statement. UrtheCast continues to monitor these areas, as well as others, for the UN. Relief has yet to meet demand, and Hadalat in particular receives the majority of its relief from one source, the International Committee of the Red Cross (ICRC). Red Cross donations to help Syrian refugees can be made here.